Take a stroll down memory lane and explore Milwaukee Irish Fest year by year! You'll learn interesting facts and behind-the-scenes insights into how the festival has grown over time. Each year also features photos, videos, and mementos collected throughout that particular festival. Milwaukee Irish Fest has hosted over 800 artists since 1981 and continues to bring in the top and upcoming acts in Irish music. Check out the artists list to see who has played the festival! Learn about the history of Milwaukee Irish Fest! 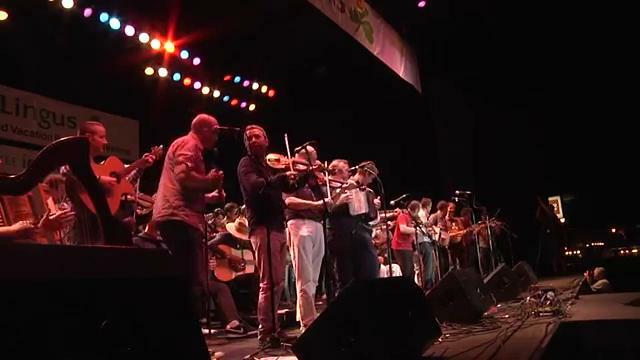 From the origins of the festival in 1980 to changes on the Summerfest grounds, you can explore how Milwaukee Irish Fest has grown over the years. Milwaukee Irish Fest is still creating history! See the entertainment lineup for the upcoming festival, and learn about cultural village attractions, events, promotions and much more.